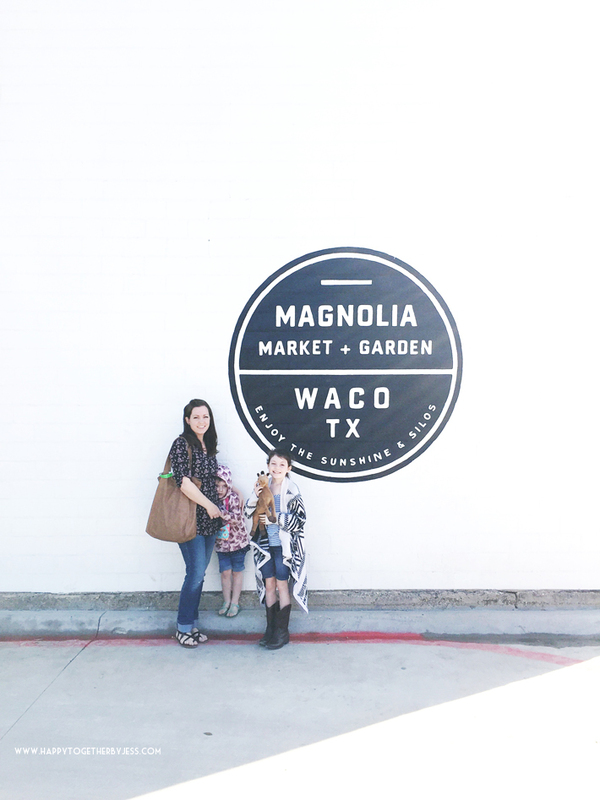 Continuing on about our spring break adventures, I want to share about our trip to Waco, Texas to visit Magnolia Market at the Silos. 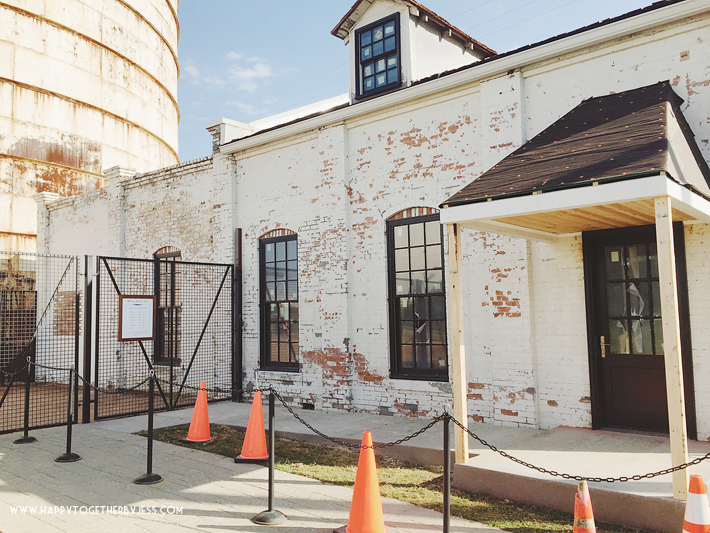 If you haven’t heard of Joanna Gaines by now I will fill you in real quick. Her and her husband, Chip, have a HGTV show called Fixer Upper and are very talented at what they do. 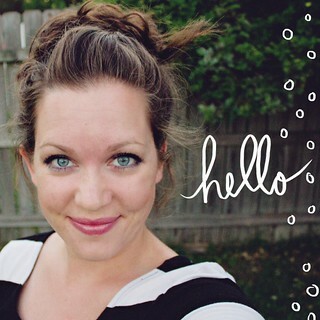 They and their kiddos are also sweet as pie and will steal your heart. I stumbled upon their show during it’s first season and was immediately drawn to it. We were on vacation and the place had cable so I was getting an HGTV fix. I loved the show so much that from then on I started buying the new shows on itunes. Now that it’s been out for three season, you can catch some online for free and Netflix has the first two seasons available now. Anyways, after watching I came across this testimony from Joanna and that sealed the deal for my loyalty haha. So when we knew we were going to visit Round Top I looked to see how far it was to Waco and it was only two hours. We added that to our trip. It was a beautiful ride between the two cities. Such pretty farm land. 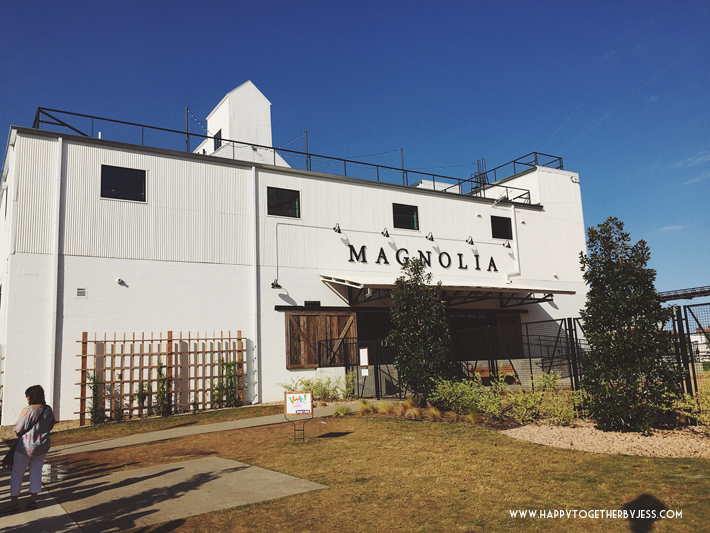 We arrived at night and went to a hotel excited to start our next day with a visit to Magnolia Market. 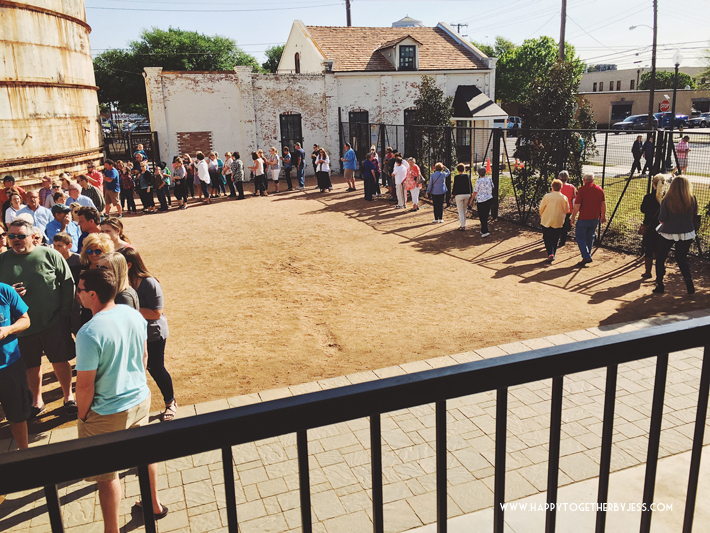 It was very easy to find and is right in the downtown area, super close to Baylor University and other little vintage/antique shops and food places. I will say this though, there is not a ton of convenient parking. We got there at 9:30 am since we just didn’t have anything else to do and I wasn’t sure how hard it would be to find the place, etc. There was already a small crowd but still a good amount of parking in the parking lot behind the building. When we left around 1, the parking lot was packed and many people were walking from other nearby streets to get there. and admired the pretty landscaping they did. By the time 10 am came they opened the gate by the road and the line was allowed to go up the ramp to the door. I turned around and the line was so much longer!!!! This was just about half of the line. I knew things were about to get serious. It really felt like waiting for a ride at Disney or something. 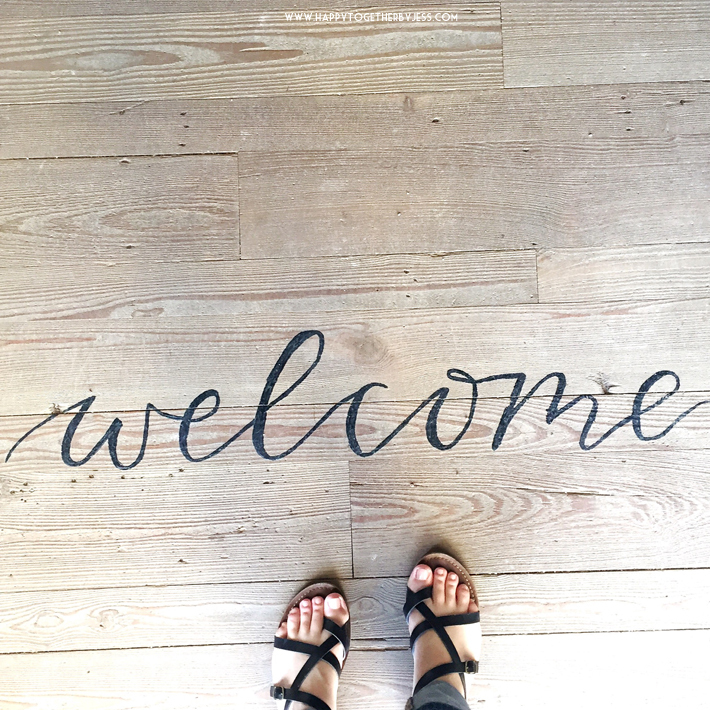 When you first enter if you look down at the floor you are greeted with the word welcome. It’s little details like this all over the store that you will have to keep an eye out for (especially when it’s crazy crowded) but add to the charm of the store and are so Joanna. 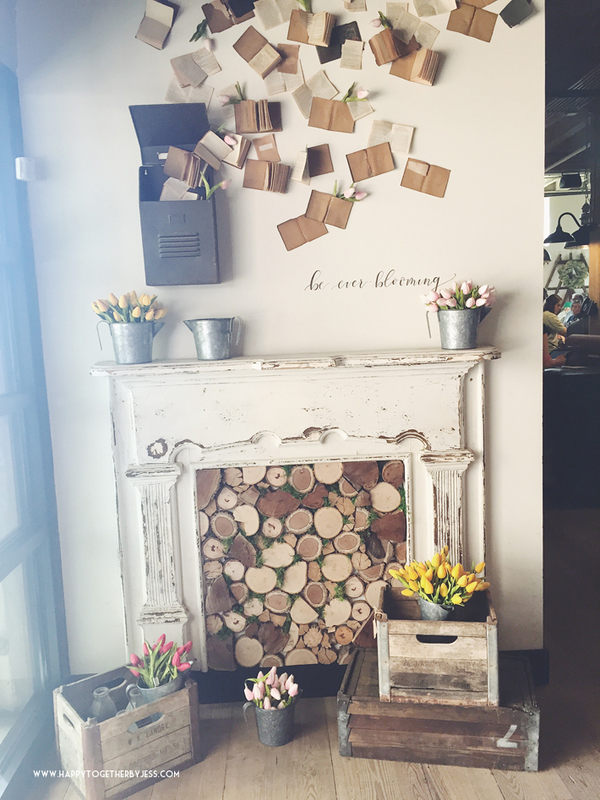 There are tons of beautiful displays to admire and draw inspiration from. You guys should have seen me trying to take a ton of pics before all those people made it through the door lol. There are two levels. You walk into the top floor and then there are stairs and an elevator that can get you to the bottom. It was full of beautiful home wares and I felt like I didn’t even really get to see it all since there was hardly walking room at times. It was worth it though. I came with a shopping list and knew I wanted to snap some pics so I focused on my mission and conquered. And a big thank you to the sweet employee Anne who went and got me something from the back that wasn’t on the floor. There were so many people asking questions and for items that I expected my interaction with the employees to maybe not be the best, but she was so kind and nice and didn’t seem frazzled at all by the commotion. This picnic table was a nice surprise to see. I have added it to my wish list for our backyard. The bottom is metal and the top is cool old wood. It’s also a great place for those waiting around for their significant others 😉 (ie: lots of guys were sitting here almost each time I looked over). After we were done shopping we went outside to enjoy the grounds and eat at the food trucks. 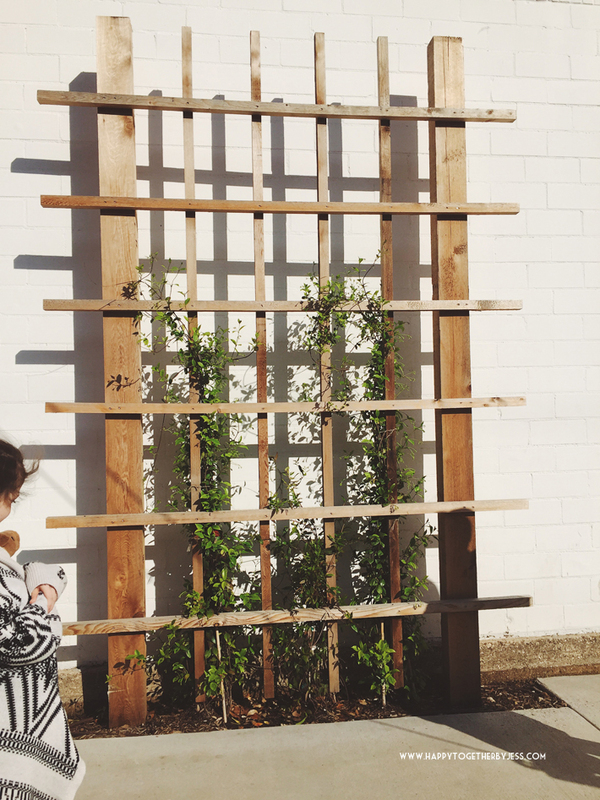 My kids thoroughly enjoyed all the games outside and it helped make the experience enjoyable for them. See all those food trucks? It was an awesome variety. I would eat lunch their every day if I lived there. After we played and ate we walked around and saw the garden and other things on the property. The sign on the small “Magnolia” building by the gardens said it would soon be a garden shop. I for see some fairy garden items being in that shop…… But my kids most favorite spot was the goats! Miss J could have stood there all day. Here is a random pic of the back parking lot just so you can see what to expect if you get a chance to visit. And lastly, to our surprise, we accidentally stumbled upon the Shotgun House! That was neat. It was a great time and I can’t wait to go again with a friend (which is soon!). I also heard a tip from several employees. They said it’s busiest in the morning and then isn’t so bad towards the end of the day. So if you don’t like dealing with crowds you might want to wait until then. Looks so fun, I want to visit!